Beginning animation students are always so worried about making the drawings look good and making sure that all the details are there to see. Their animation drawings may be well drawn, however they move very stiffly and without any life. This is because they never rough out their animation, but go straight into Clean Up drawings first. When you first animate a scene, you need to rough out a series of drawings to figure out the action, the staging and other elements that the scene requires. These should be done as small quick, rough drawings known as Thumbnails. 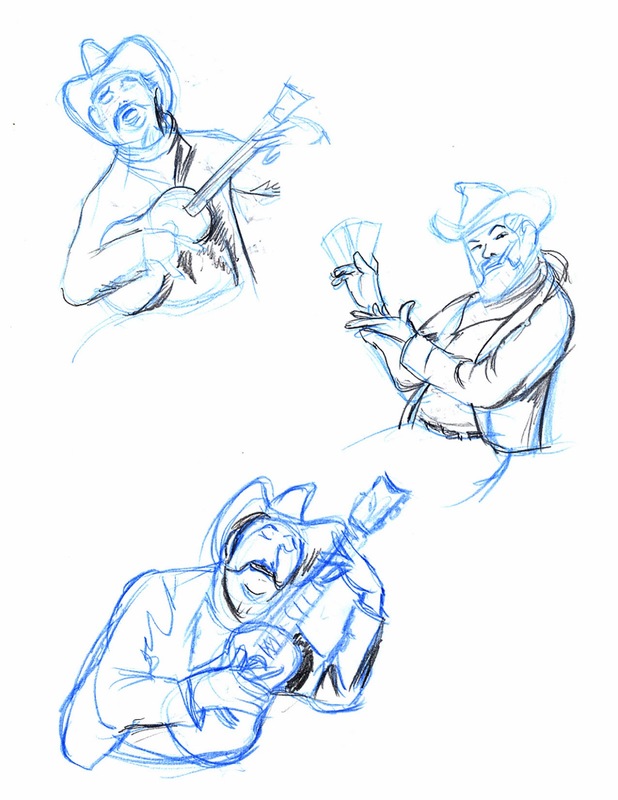 These are rough thoughts like quick sketches in figure drawing and allow you to see the various shots or actions as well as how everything fits together.These rough drawings tell your story which you can enlarge using a scanner or xerox machine to fit in a field size you like to work in. 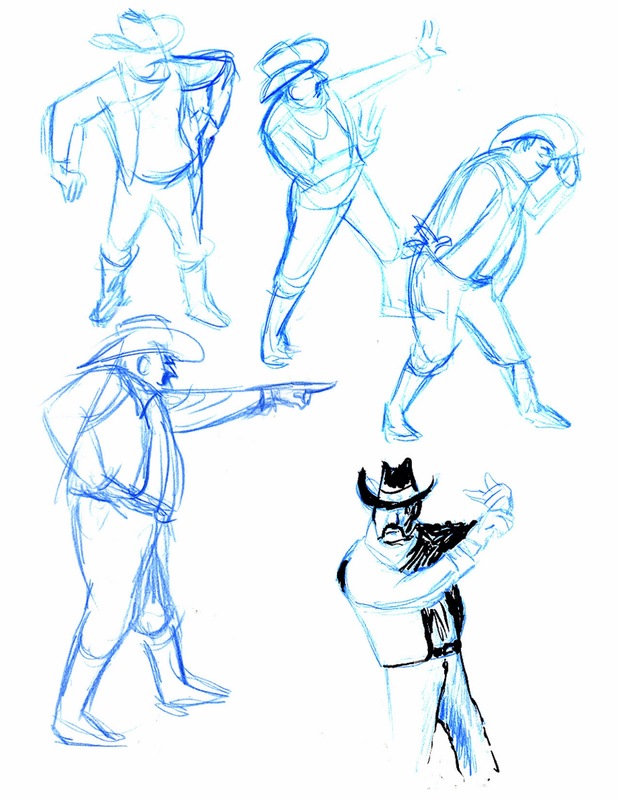 These roughs can be clean up and used as Layout or Key poses. In "Drawing with the Right side of the Brain" by Betty Edwards explains how to use the right side your brain when drawing. Drawing rough drawings is where you are trying to work out a pose onto paper, thinking and drawing. However, Clean Up drawings are using your Left, making sure all the details are there and the lines are drawn correct based on the rough drawing underneath. Working rough is your blueprint or foundation which the clean up will be built on top of. Every building needs a blueprint, otherwise it might not be put together properly and could fall down. So, I encourage students to work as rough and loose as possible and to have fun with their drawings and work quickly. 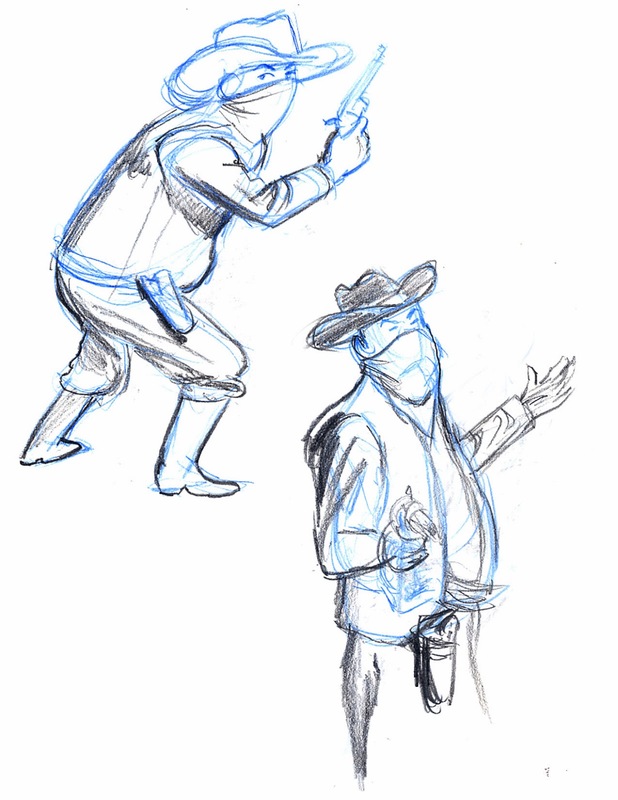 There is a book called "Animation from Script to Screen" by Shamus Culhane and on page 39 is a very interesting exercise where you have one hour to draw 60 drawings. You have to work quickly and no erasing is allowed. Its a good way to work rough and improve your drawing speed over time and practice. 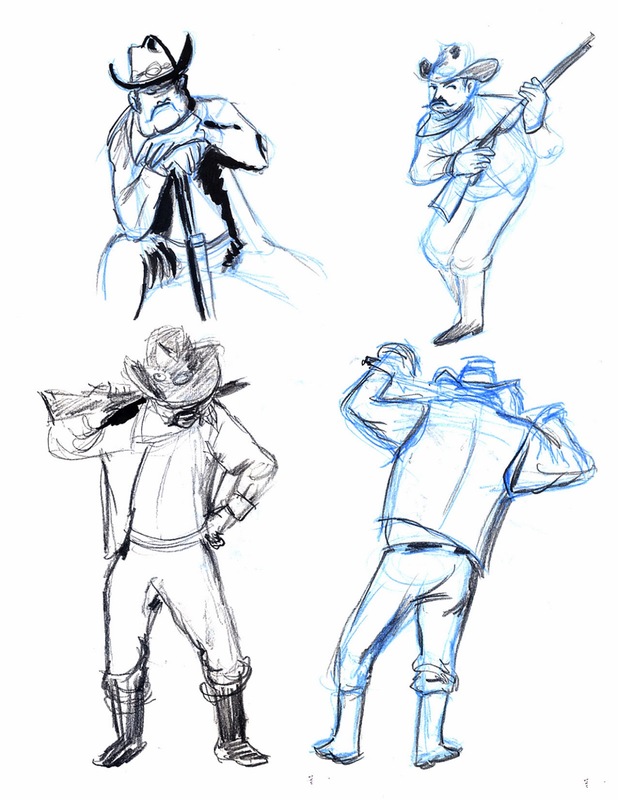 The first drawings where quick 1 minute gesture drawings, followed by 5 minute poses. With all the details, you really have to draw fast. I try to get rough in the main body pose first, trying to find where the weight of the body is. Sometimes I forget about scale and upon view these drawings later I can see my mistakes. But in the heat of battle and time, I try to rough in the pose first, then add shadow placement and add the details as best I can. At the end of this session, I was really tired because I was really trying to work as loose as possible at the beginning and then add the details later. I walked around to see what other people had drawn. Several had been in better practice than me and others had used the model as a foundation and added their own style on top of it. 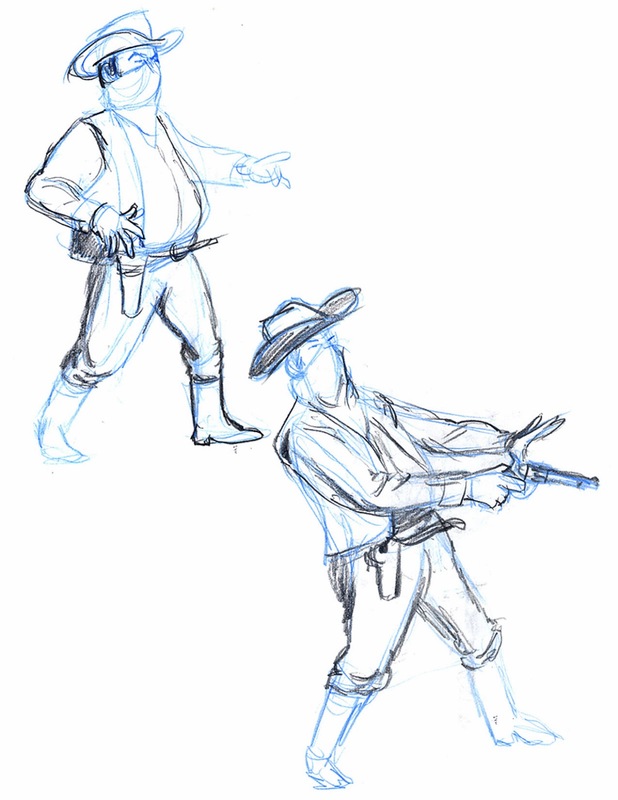 Instead of a realistic drawing of a cowboy, they had a same pose but replaced the human as a cowboy cat or a caricature cowboy type. Using the model as a foundation to add the details onto.